My fascination with old airliners continues with the acquisition of this die-cast model - a Trans World Airline Lockheed L-049 Constellation. The aircraft entered service as military transport during World War II, and as a civilian airliner after the war. 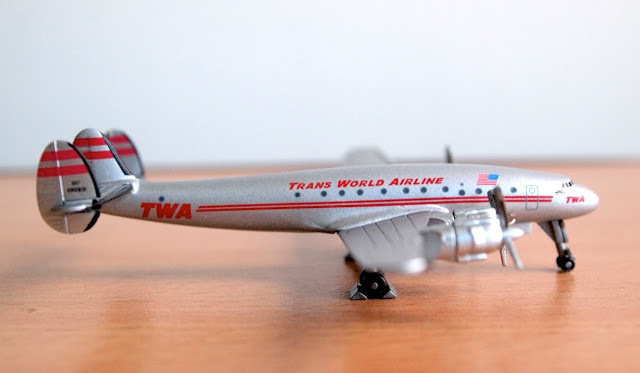 It was developed under the behest of Howard Hughes, who owned TWA. 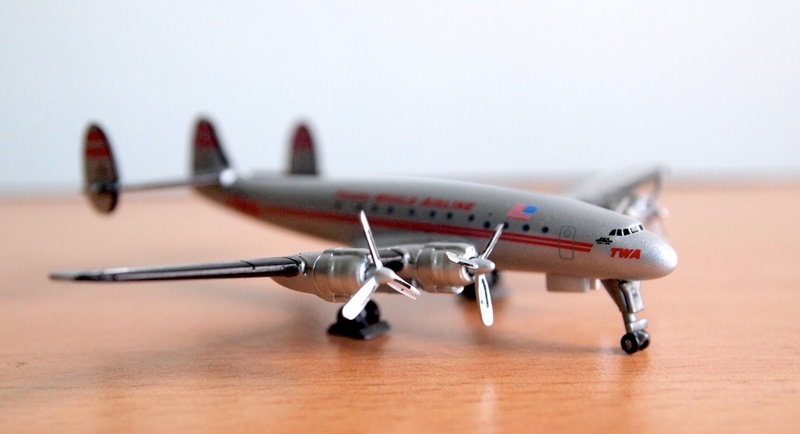 The aircraft has a distinctive triple-tail design, and one of the first airliners to feature pressurized cabins and electric de-icing technology.